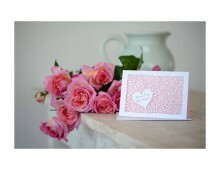 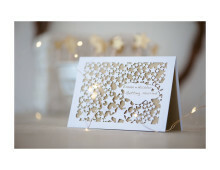 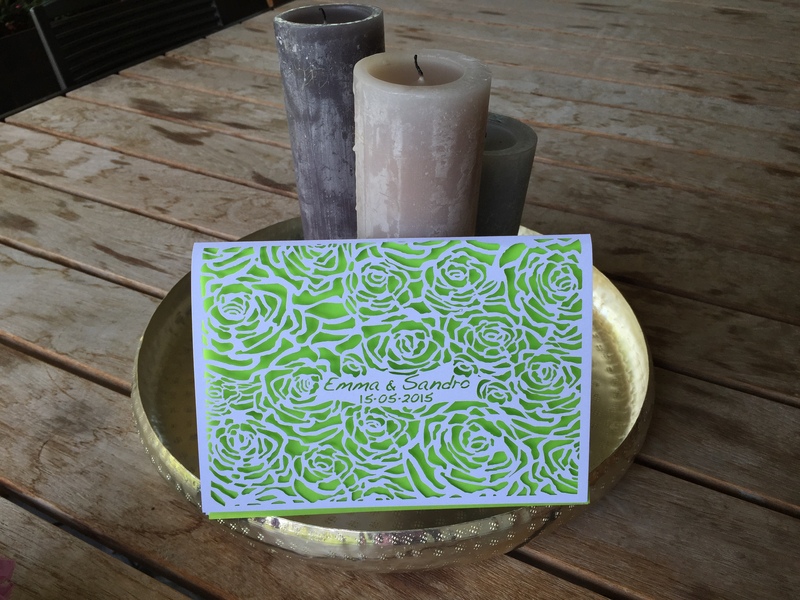 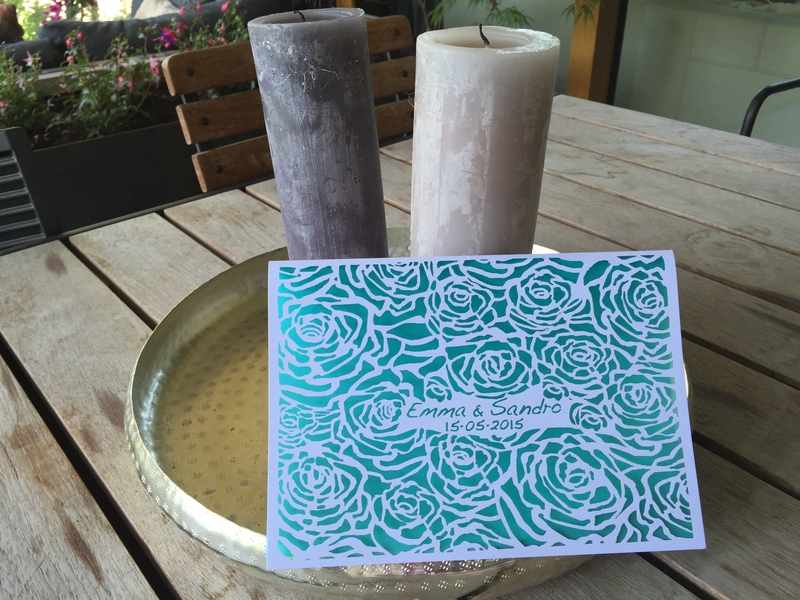 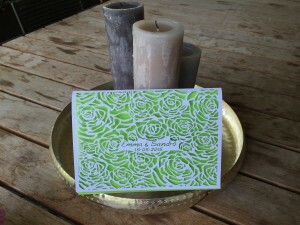 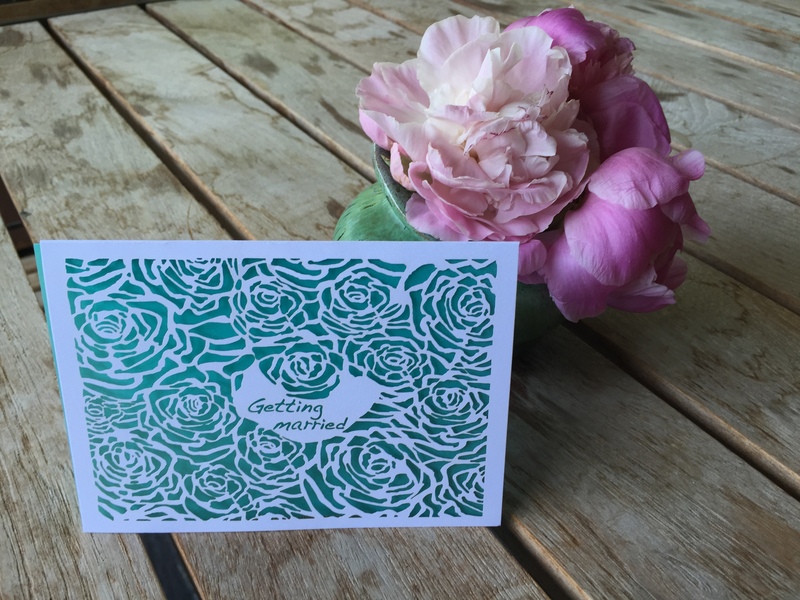 This card filled with roses will make a beautiful and romantic wedding card. 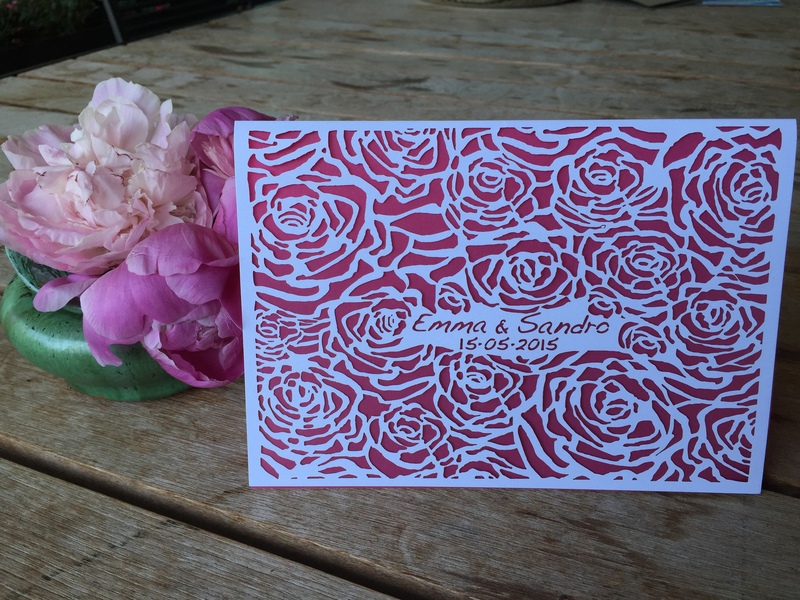 The design is very filigran and looks like fine lace. 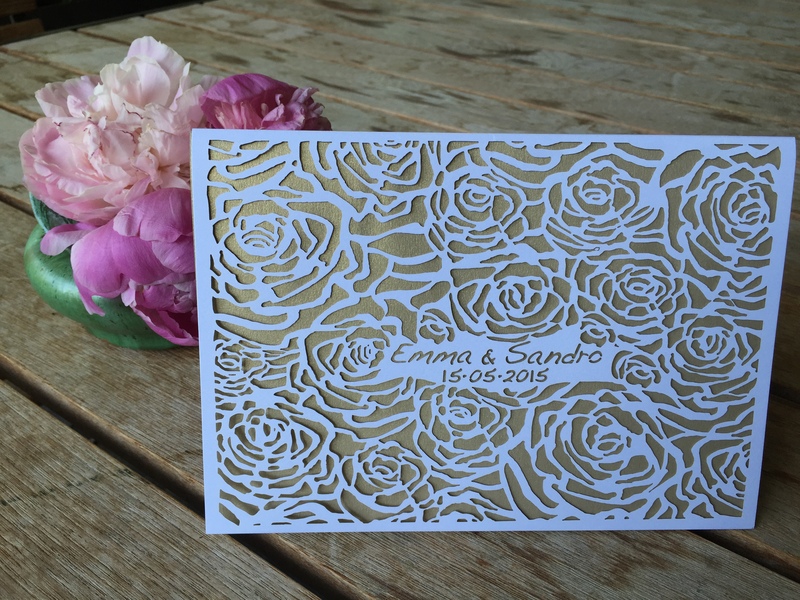 Laser cut with couple’s names and wedding date.